The well-documented shift to ‘safe havens’ has boosted some of Europe’s key urban residential property markets (London, Vienna, Geneva) while the economic crisis in others has seen sales volumes and prices plummet (Madrid, Dublin) says new research from Knight Frank. Six years on from the start of the global crisis, Knight Frank’s inaugural European Cities Review took the pulse of these diverse city markets by examining price performance, demand drivers, levels of supply, and future trends. With luxury prices in Paris oscillating around €12,000-€15,000 per sqm, property there is looking good value, says the agent, – even taking President Hollande’s tax ruminations into consideration, especially when compared to London or Monaco where prime prices are closer to €30,000 or €55,000 per sq m respectively. In most cases, prime prices in Europe’s cities proved better insulated than the continent’s rural and coastal second homes in the period since 2008. Prime city markets rely on a broader platform of demand; a mix of domestic owner/occupiers, institutional investors, private wealth and foreign second home buyers. 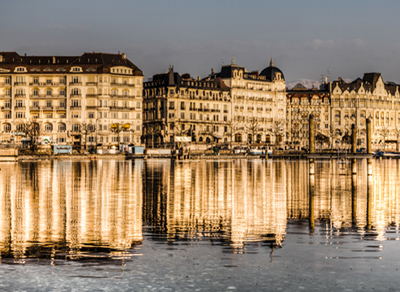 This mix of buyers meant that when foreign buyers retreated from the market in 2008-09 there was a still a level of sales activity, albeit limited, taking place in Europe’s cities. That’s not to say prime city markets did not see significant price falls: Dublin and Madrid saw falls of 45-55% peak-to-trough and even London saw prices decline by 24% in the year to March 2009. Vienna is the only exception: here prices remained static in the aftermath of Lehman’s collapse and have seen growth of 5% per annum since 2012. Paris experienced a brief growth spurt, rising 22% in the year to September 2011 as wealth from the Middle East sheltered in the French capital as the tensions surrounding the Arab Spring heightened. 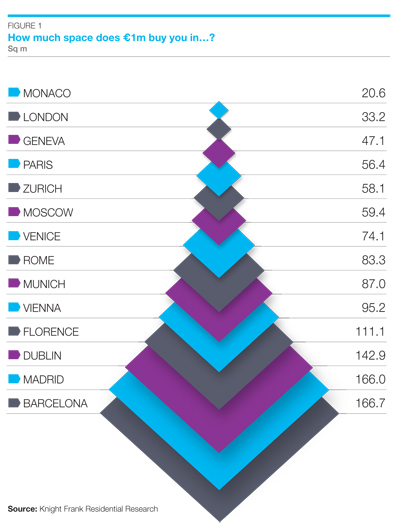 2013 proved a watershed year for ‘recovery cities’ such as Madrid, Dublin, and to a lesser extent, Rome. Not only have luxury prices bottomed out, but confidence has improved and particularly in Madrid and Dublin’s case they are firmly back on investors’ radar, recording price growth of 5% and 24.6% respectively in the year to March 2014, the report concludes.